What has Juggernaut launched today? 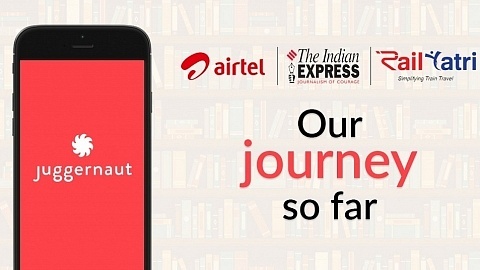 Juggernaut has launched its Android app today for the phone, with a collection of over 100 books – featuring stories by Sunny Leone, crime thrillers, nutritionist Rujuta Diwekar’s new book on Indian superfoods, Pakistani queen of TV romance Umera Ahmed’s Nowhere Girl, psychiatrist Shyam K. Bhat’s guide to getting over heartbreak, and the Angry Birds books. The app also has books by Juggernaut partner publishers, such as Westland, Duckbill and Navayana. There is a huge collection of classics and stories that you can read for free too. 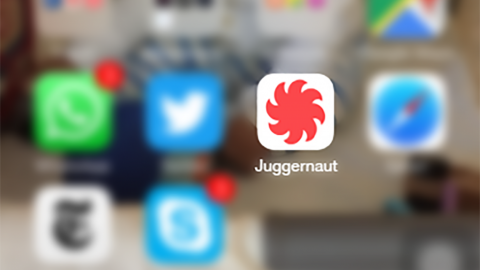 Where can I download the Juggernaut app? Can I download it outside India? Right now, on the Google Play Store. The app is currently available only for Indian users, and will soon be available worldwide. Where’s the app for iOS users? The iOS app will be available on the App Store next week. Watch out for our announcement when it does. Are there any physical books? When will they be available? Yes, we will publish physical books too. They will be available from July onwards. Okay, I’ve downloaded it. Now what? How do I pay for the books? You can currently pay with your debit cards, or your credit cards, or with your Paytm account. My screen is too bright. Can’t I change it? Yes – double-click on your reading screen, and you will see options to read against a different background. If you like to read at night, we’ve got specially designed backgrounds to help put less stress on your eyes. You can even change the font size, and the spacing between the lines. What are these serialized books? Why can I only get a part of the book? We’ve broken up stories into parts that we think you will like best – and we will release them daily at set times. Can I read the books elsewhere? Eventually, you’ll be able to read them on the desktop too. For now, it’s only on the Juggernaut app on your phone. Happy reading! We hope you like the app, and please write to contact@juggernaut.in with your feedback. Hi,I want to read Rujuta’s new book. But could not find Juggernaut on my Windows phone. Pls help. Hi Shivangi, Thanks for your interest. the app isn’t available for Windows phones; we’re working on it. We’ll also be releasing a desktop version in the coming months. 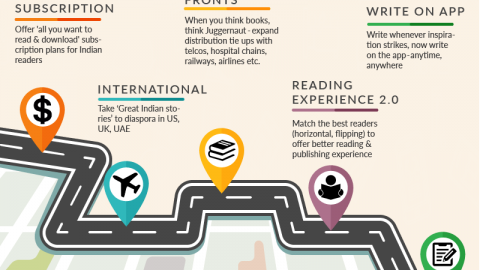 Can I read the same book on my phone and tablet? Or do I have to buy on both? hi Prasun, if you sign on both devices using the same email ID, you will be able to read the same book on different devices. you do not have to buy on both. Congrats on the app. Sounds like a great plan! Any plans to release this on the UK App Store? Would love to get me some books. Hey Jayant — thanks a lot! we’re working towards it — we’ll keep you posted. cheers! I am interested in buying Indian Superfoods by Rujuta but I am not able to complete the transaction on the app. Is it possible to buy only using a Indian CC? Is there no option of paying through Paypal? Hi Aby, the app accepts only Indian credit cards or the Paytm wallet at the moment; we don’t have an option for Paypal. cheers! I am in Chicago USA. Unable to find your App in Google playstore !!! hi Ankit, the app is currently available only in India. cheers! How can I pay using Paytm? Dear Chandrashekar, Please write to support@juggernaut.in with your query. Our support team will write you asap.